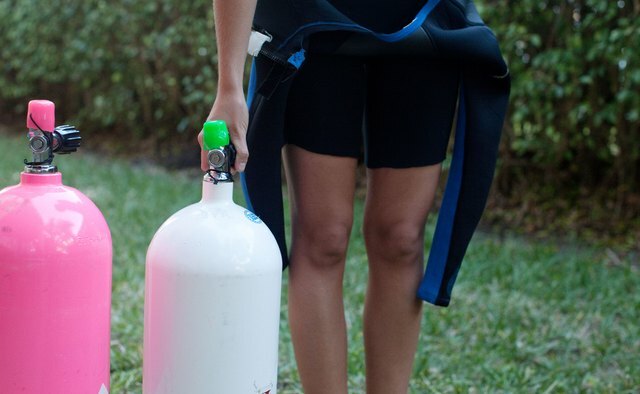 Depending on why you are wearing a wetsuit, what activities you are planning and how bashful you may be while changing clothes, there are several recommendations for what to wear underneath--ranging from a simple swimsuit to nothing at all. Depending on what activity you participate in while wearing your wetsuit--swimming, surfing, scuba, triathlon--comfort, unrestricted motion and availability of a changing room are the thoughts highest on the priority list. 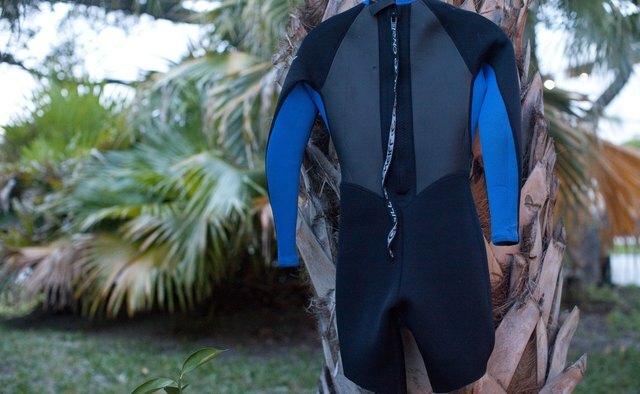 Wearing too much clothing under your wetsuit can restrict movement or cause chafing, while wearing nothing can leave you embarrassed if you need to change clothes in the beach parking lot. Surfers and scuba divers will often wear as little as possible--or nothing--underneath their wetsuits to keep their movements completely unrestricted. Most swimsuits offer enough flexibility of movement for these activities. Male surfers tend toward board shorts as swimwear while scuba divers may prefer Speedo brief-style trunks. Female surfers and divers tend toward two-piece or bikini swimwear under their wet suits. Triathlons with an open water swim sometimes require a wetsuit for the first leg of the event. Some competitors prefer a multi-use garment known as a "tri suit" so they can avoid the need to change clothes and save time between events. If the water is particularly cold, or the triathlete prefers a full wetsuit, she may wear cycling or running gear underneath for a quick change between events. Because wetsuits are designed to be tight fitting, skin irritation can be an issue for some people. Wearing a rash guard or swimsuit underneath can help avoid any problems. For particularly tight-fitting suits, using lubrication like Vaseline or Astroglide on your limbs can help get the suit on and off easily. 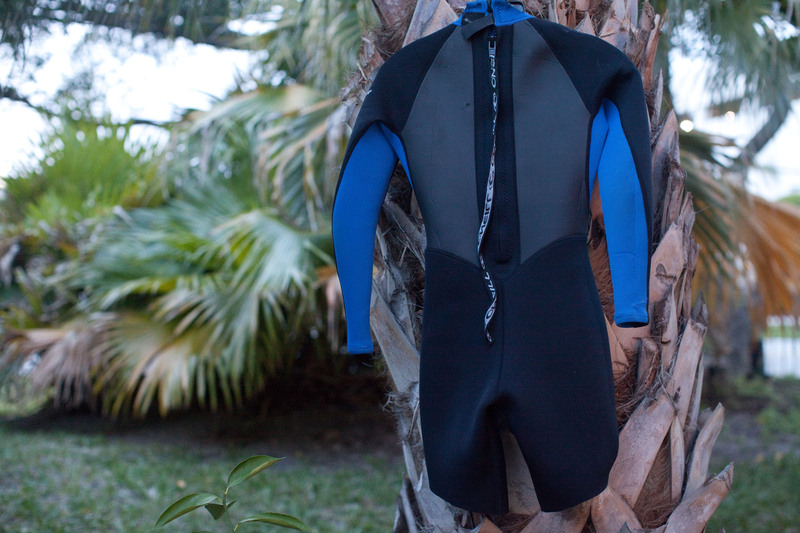 Because of the material wetsuits are made of--neoprene--and the fact that the garment is soaked wet and dried so often, it is important to take proper care of the wetsuit. Make sure the suit is hung up to dry after use, and the material is completely dry before storing it. Putting your suit away wet can cause growth of mold, mildew and cause the material to break down prematurely.